Ben & Jerry’s cookie dough is a favorite among fans, being found in several of their ice cream products. Well, now you can skip the ice cream altogether and just eat the dough on its own. Ben & Jerry’s has announced the release of its new frozen Cookie Dough Chunks, that can be snacked on in bite-sized form. 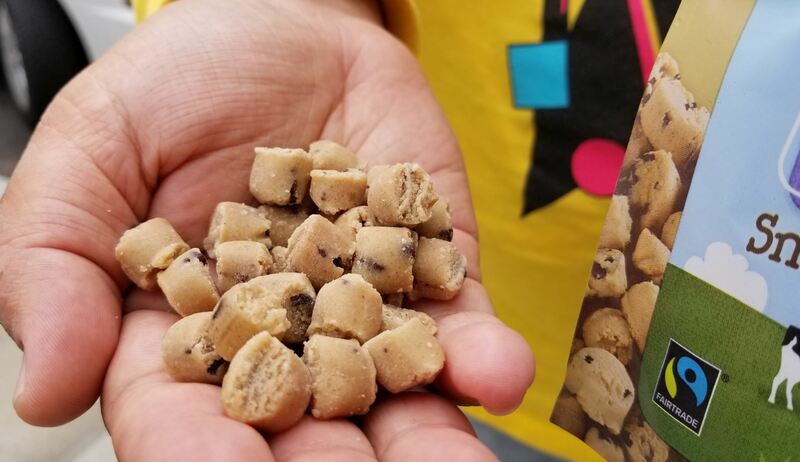 The cookie dough snacks will come in three different flavors: Chocolate Chip Cookie Dough, Peanut Butter Chocolate Chip Cookie Dough and Vegan Chocolate Chip Cookie Dough. Fans of Ben & Jerry’s non-dairy options will get a familiar taste, as the cookie dough is the same that is used in the vegan ice cream pint options. The bags come in half pound sizes, and needless to say, they are safe to eat raw. We had a chance to try them in the office and nothing but thumbs up on our end. It’s hard to argue against B&J’s cookie dough, in any form. Written by Isai Rocha. Published with permission from FOODBEAST.com. FOODBEAST is your online food haven. Find the best new stories, recipes and food culture.. Read my articles.